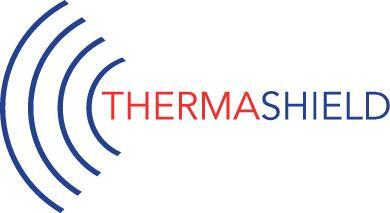 ThermaShield™ is an ultra high performance, light weight, patented multi-layer thermal & acoustical shield. Typical configurations include the use of different materials, each with a unique thickness, emissivity value, and 1st natural frequency. ThermaShield provides a 750°F temperature drop across the shield at a source temperature of 1100°F. Additionally, the shield does not ring or resonate, providing acoustical damping of engine and exhaust noise.